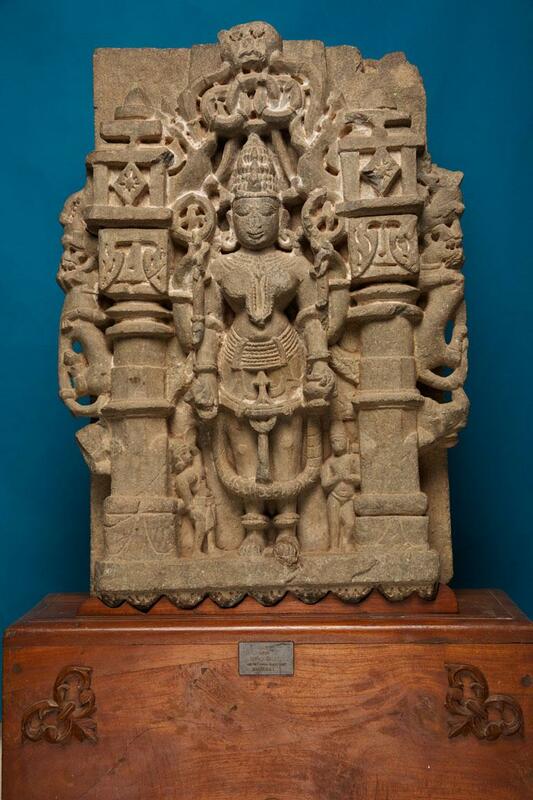 An elaborate and exquisite stone sculpture of a female deity in standing posture. The sculpture is noted for its intricate and stunning works and designs. This two handed Goddess has male and female standing attendants below her.